Few frills, no fuss. Just great quality and reflective touch. Rogz Highly Reflective Utility Range is both the black tie and the 4x4 of the Rogz range. Timeless and classic, hardy but cool. Never shaken - or stirred. 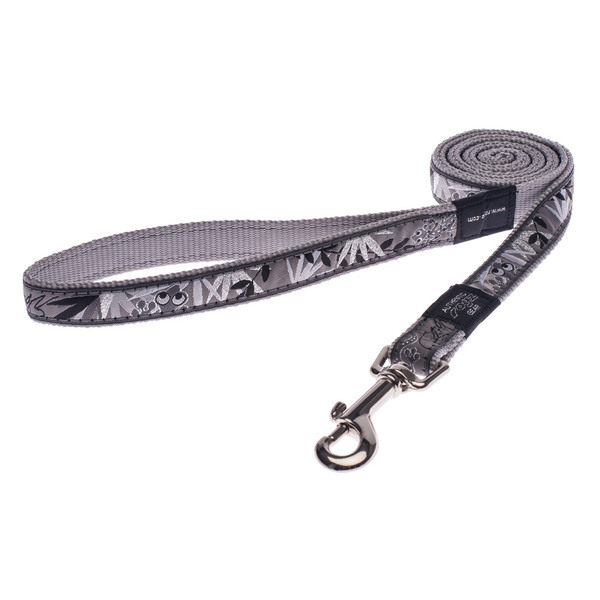 The 6 foot leash with its woven reflective threads stitched into high quality webbing is the ideal solution for the teenagers of the Dog Species. Straight-forward and durable with ultimate night time visibility. All joins are box stitched for extra strength and a quality finish. Note that this range needs to be turned inside out when operating in stealth mode as the reflective stitching is found on one side.For those of you who prefer the more subtle approach without compromising on the cool reflective quality, the ROGZ Utility is perfect. Lively colours with reflective stitching will give you guaranteed satisfaction. - Die-cast components - Custom designed die cast (no welding). Nickel-plated clip, rust-proof and tarnish-free. 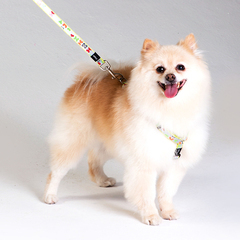 Rogz Fancy Dress Range, 3/8-Inch Jellybean 6 foot long Leash features super-fashion ribbon stitched onto pure high grade nylon webbing. All joins are box stitched for extra strength and a quality finish. 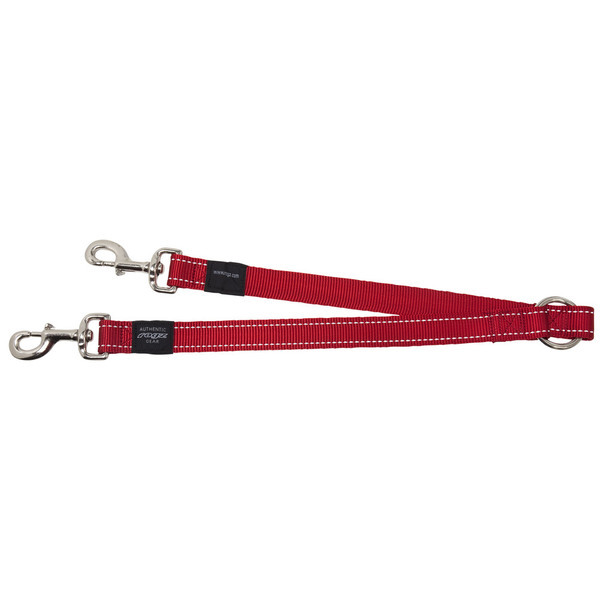 Matching Collar and Harness will make sure your dog stands out in a crowd and gets everyone on the block into serious drool mode. The perfect outfit for those very special occasions. - Die-cast components - Custom designed die cast (no welding). Electroplated chrome for a rust, tarnish free finish. Big, bigger, biggest, anything under 80lbs need not apply. No compromise, serious gear for serious dogs. 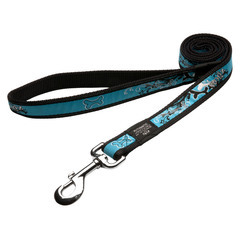 Add some grooviness to your dog's attire with the Rogz Fancy Dress, Special Agent 3 foot long leash featuring Super-fashion ribbon stitched onto pure high grade nylon webbing. All joins are box stitched for extra strength and a quality finish. XXL (Special Agent) German Shephard, Bulldog, Bouvier, St. Bernard 1' foot 8"
Rogz Fancydress Range, 1-Inch Armed Response 6 foot long Leash features super-fashion ribbon stitched onto pure high grade nylon webbing. All joins are box stitched for extra strength and a quality finish. 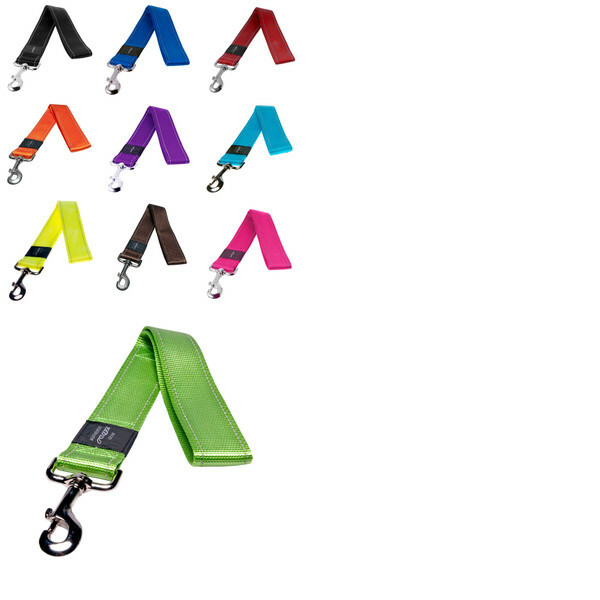 Matching Collar and Harness will make sure your dog stands out in a crowd and gets everyone on the block into serious drool mode. The perfect outfit for those very special occasions. 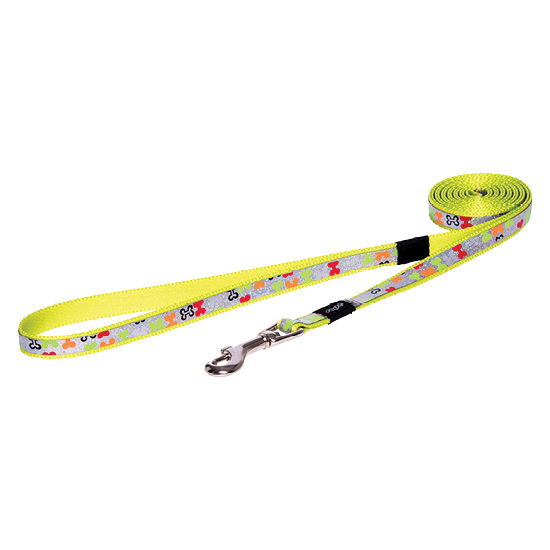 Rogz Fancy Dress Range, 3/4-Inch Beach Bum 6 foot long Leash features super-fashion ribbon stitched onto pure high grade nylon webbing. All joins are box stitched for extra strength and a quality finish. Matching Collar and Harness will make sure your dog stands out in a crowd and gets everyone on the block into serious drool mode. The perfect outfit for those very special occasions. Bright colors and extreme attention to detail is just what the extrovert in the family need to express themselves. Rogz Fancy Dress Range, Scooter 6 foot long Dog leash featuring super-fashion ribbon stitched onto pure high grade nylon webbing. All joins are box stitched for extra strength and a quality finish. 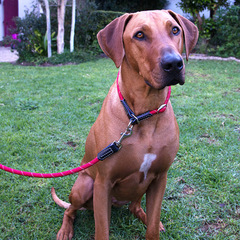 Spoil your dog with a Collar and harness to match and they will certainly stand out in the pack. Choose carefully and never spoil only one dog in the family - we do not want things to get out of control! 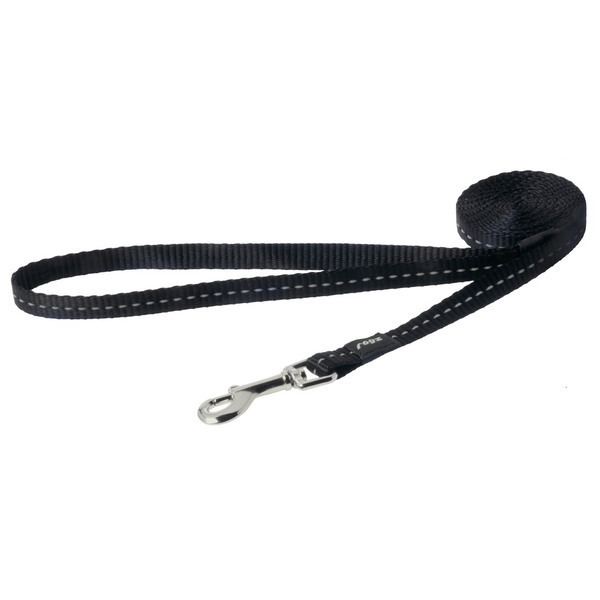 This beautifully made, soft, but strong double nylon length leash for medium and large breeds has a highly polished chrome trigger hook and Stainless steel D-rings. 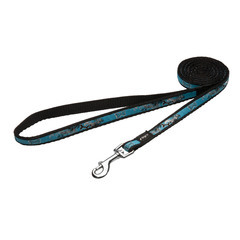 With six useful functions and D-ring connectors strategically placed, this leash can be used as a long leash (5ft), a medium length leash (4ft), a short leash (3ft), a shoulder leash, a double leash for two dogs or a temporary tie out. The Rogz multi-purpose leash from CaliDogz provides the ultimate solution for all your leash needs. 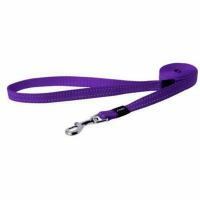 With the Quality and Value synonymous with CaliDogz, this leash will provide you with years of trouble free dog walking. Temporary tie out. 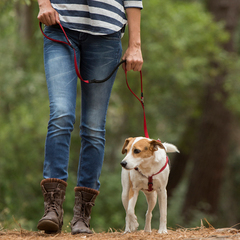 No longer do you need to remove the leash to tie out the dog whilst you chat. 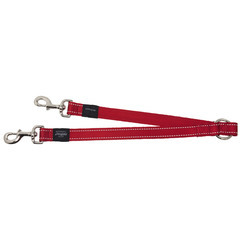 *Suitable for breeds including Golden Retrievers, Labradors, Collies, Sheppards and Mastiffs. Introducing the new Lapz Range of collars and leashes to cater to our tiny members of the canine family. 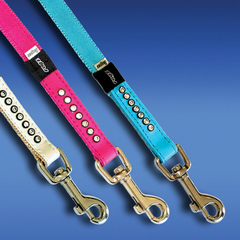 Rogz Lapz Range brings you the latest and greatest in trend-setting pet gear for Lap dogs. 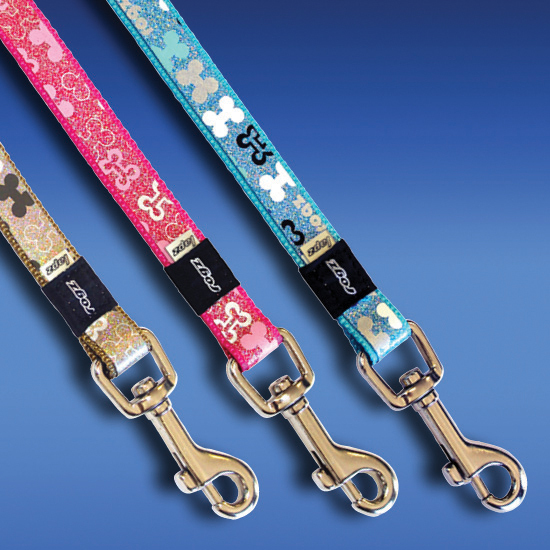 Don't miss out on putting the spotlight on your furry friend. 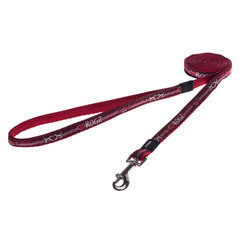 After all, dynamite comes in small packages so spoil your little pooch and let them blast away the competition in this Premium Luxury Line from Rogz! 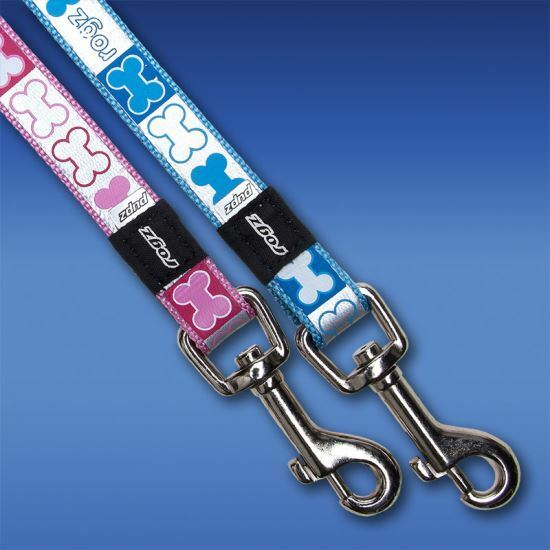 Matching collar available. 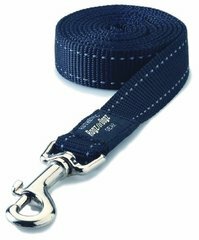 Rope range in reflective stitching with a comfortable round grip. Rogz solution for strong, erratic pullers is the world’s first dual-functioning Control system! 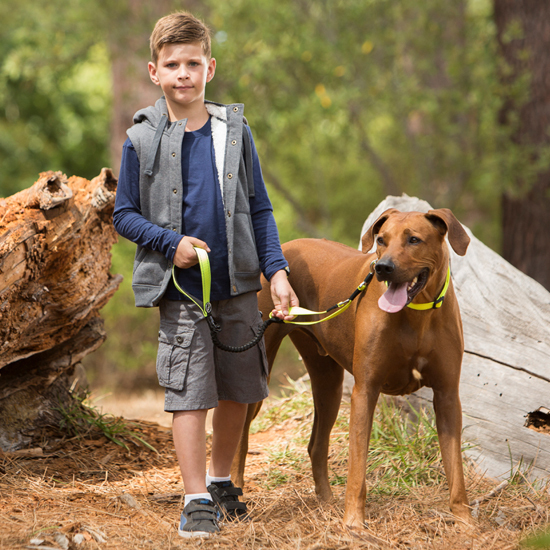 The shock absorbing webbing reduces strain on both you and your dog while our patented ShocLoc TM system can lock out the shock absorbing function, if close control is needed. To prevent accidental release or breakaway, our SnapLoc TM Trigger hook can be locked with an easy twist once attached to a collar or harness. 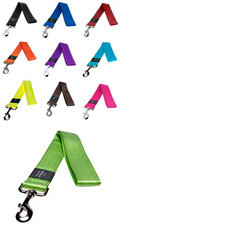 A waste bag holder and accessory D-Ring for your ID tag or keys are additional features. Reflective stitching for great night time visibility and a Close Control handle for high traffic zones, ensure the Rogz’ Control Lead puts you back in the driving seat! 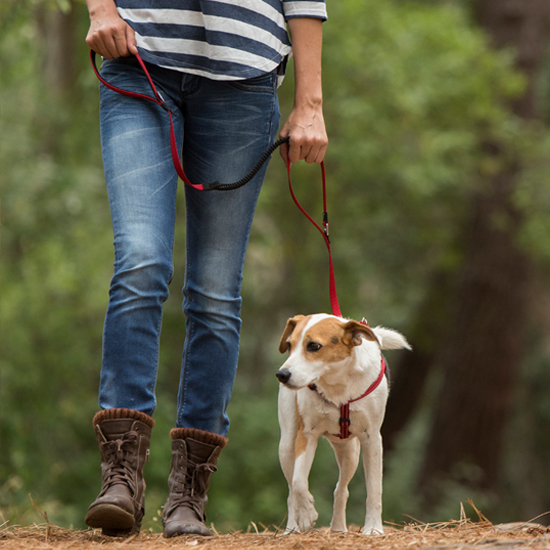 Walk two dogs at the same time with ease and confidence. 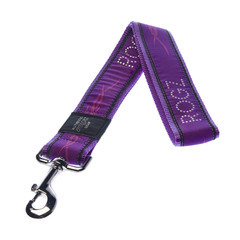 The Rogz splitter features durable webbing with reflective stitching for night time visibility. •Electroplated chrome for a rust, tarnish free finish. •Woven reflective stitching designed for safety by reflecting high intensity light back to the source. •Custom designed die cast ring (no welding). Think of it as an aircraft carrier for fleas. The landing strip can quite easily contain even the most unfriendly beasts from the under world – never mind a mere 150 pound pooch. Tests held at a failed Dinosaur theme park recently featured in a trilogy of films, have conclusively proven that T-Rex and his pea-brained compadres are no match to Rogz’s Mega-Latch technology and duro-webbing.